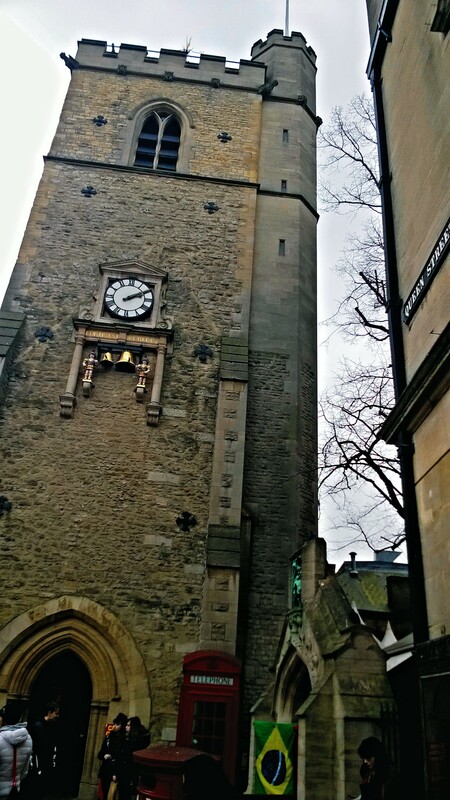 Carfax Tower’s moniker of Carfax, derives from the Latin quatre-furcus or “four-forked” as Carfax Tower is situated at a junction of four roads: St. Aldate’s Street (formerly Fish Street) to the south, Cornmarket Street to the north, High Street to the east and Queen Street to the west. 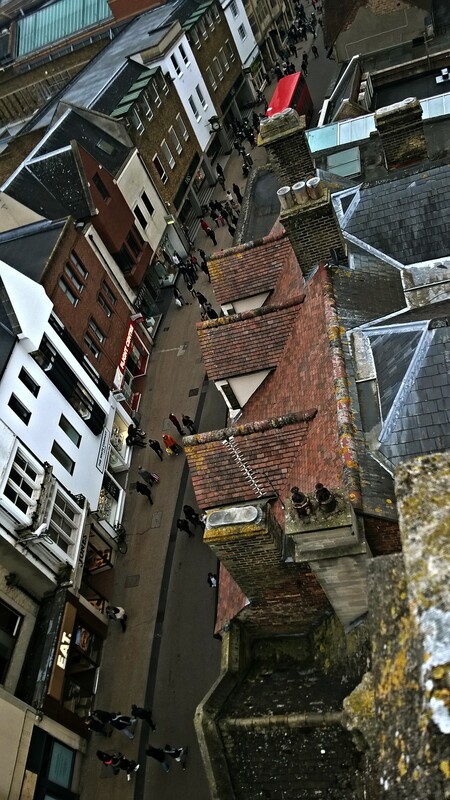 When, in the 19th century, roads had to be widened, most of the mediaeval church of St. Martin’s was demolished in the name of progress but Carfax tower survived the purging. 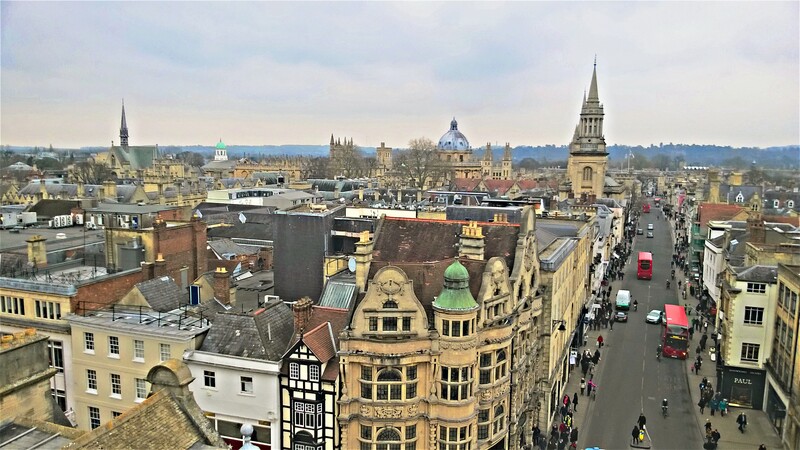 I paid an admission fee of £2.50 to climb up the narrow, spiral steps to the top of the tower where I was rewarded with a panoramic view over Oxford’s skyline of domes and spires. 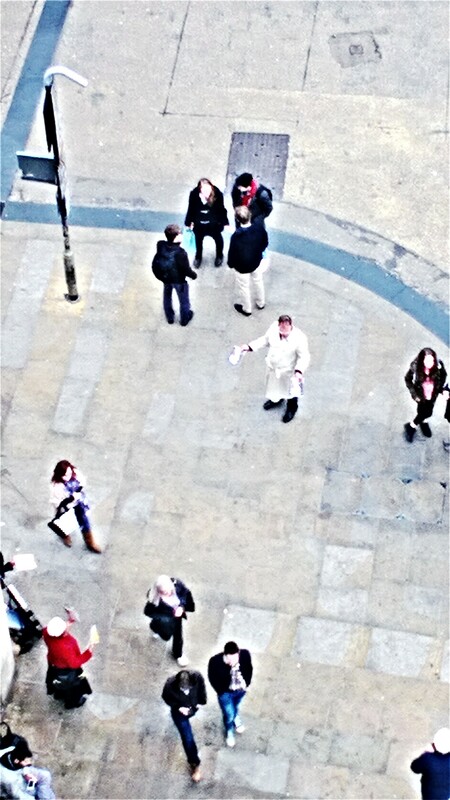 The tower roof even had a spyglass and I used it to watch pedestrians and found it amusing when, watching from the tower, I spotted some Jehovah’s witnesses on the street below me, passing out pamphlets called watch-tower. 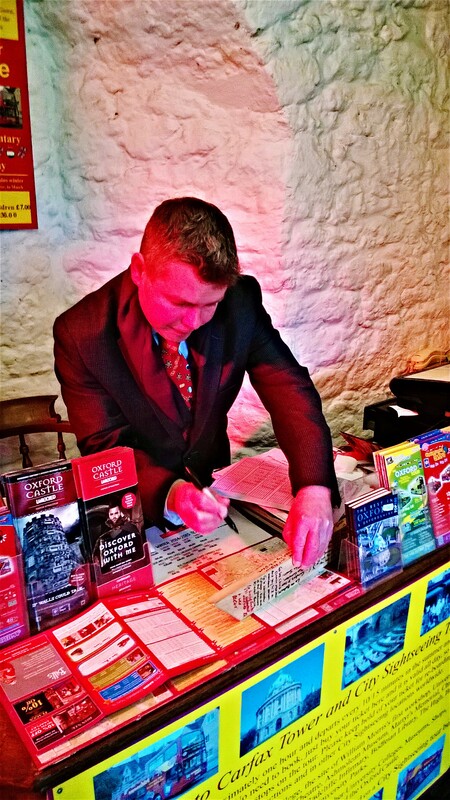 I encountered Tom working at the ticket and information counter by the tower’s entrance. 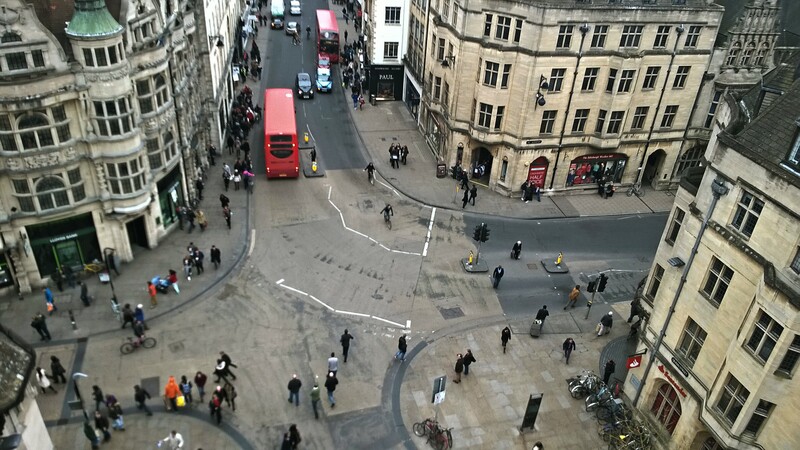 I explained about my project to Tom and he gave the montage a CitySightSeeing Oxford brochure for Oxford’s Official Guided Bus Tour and sent me to see his friend Dana at the Fellows gift shop, just half a minutes stride eastwards, up High Street. The picture I took of Tom shows the neon pink lighting that was illuminating the environment in which he worked.